The neo-Renaissance palace designed by Ybl Miklós, overlooking the garden of the National Museum, housed the Hungarian chamber of deputies in the second half of the last century. 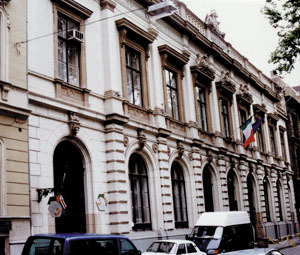 Since 1943 it has been the building of the Italian Cultural Institute in Hungary with a library, an Italian bookshop, concerts, conferences and it organizes other cultural programmes for its guests. ITALIAN LANGUAGE COURSES AT ALL LEVELS IN THE MORNING AND IN THE AFTERNOON.